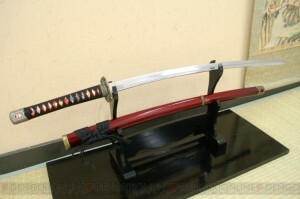 The Japanese sword is “the most beautiful tool” named the weapon. In the past, this was held in hand to fight enemies. In those days, the workmanship of the Japanese sword directly affected one’s own life or death. It was also vital in protecting one’s own relatives, family, friends and fellows. This kind of desperate need and great demand created superb craftsmen and Japanese swords that were actually called masterpieces were created. 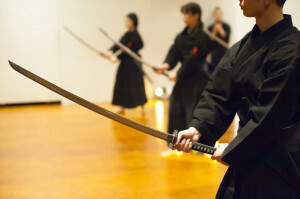 Through a condensed process of trial and error, the Japanese sword gained a style and a basic technique was established. In the course of further refining this, many schools were created and craftsmen on the cutting edge of this stream furthered their studies. Japanese swords were not only used as tools of Budou, Japanese martial arts. Depending on the owner’s social status, they were beautifully decorated. The blade was decorated with patterns called hamon through a heating process, and this was adorned with mountings such as the hilt, scabbard and hand guard. 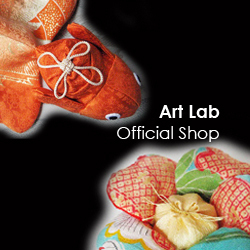 Each of these items were also decorated with carvings and inlays. In this way the Japanese sword became more than just a weapon, and even after there were no more use for them in actual battle, they continue to be regarded as sacred, as a work of art or as a spiritual symbol.